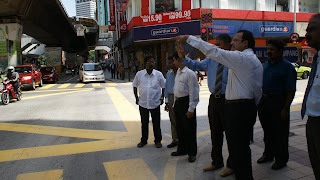 KUALA LUMPUR: Despite the millions of ringgit that had been spent to turn the federal capital into a world-class city, the efforts have not achieved the desired results in some areas. 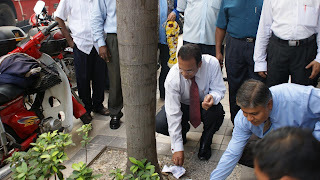 Deputy Minister in the Prime Minister's Department Senator Datuk T. Murugiah said more work still had to be done where cleanliness was concerned. 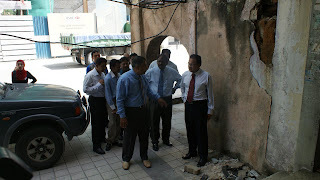 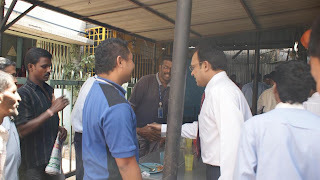 During a walkabout in Lebuh Ampang recently, he expressed disappointment at the dusty and dirty conditions in the area. 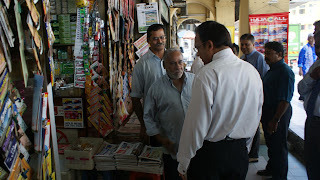 Murugiah had decided to check out the area himself following complaints to the Public Complaints Bureau from traders there. 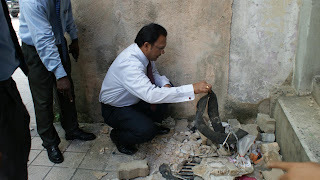 They claimed that dust from the recent laying of tiles on the road pavements had become a major problem. 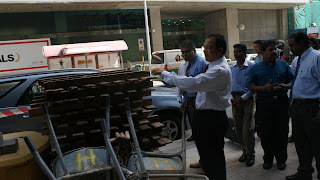 Chairman of the Lebuh Ampang Traders' Association, Abd Rasull Abd Razak, said the new tiles were laid out about a month ago, but the remaining sand used in the construction was not cleared after the project was completed. 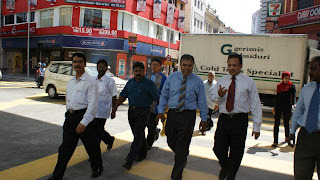 This, he said, had resulted in the area being coated in a thick layer of dust and when it rains, the roads become covered in mud. 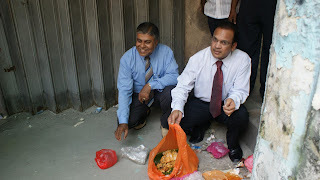 "This affects the businesses of about 70 commercial buildings, which sell food, gold and other items here," he said, adding that the century-old district was one of the earliest settlements in the city. 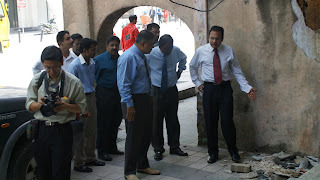 Murugiah said it was evident that the local authority had failed to monitor the work of the contractors. 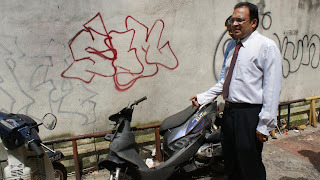 "They have been complacent on reports made by the association as many of the streets and back lanes in the area are littered with rubbish. 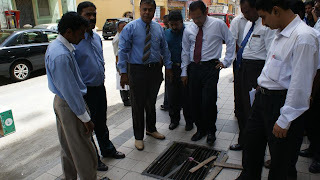 Many of the drains around the buildings are also clogged. 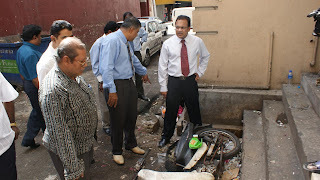 "It is a shared responsibility to keep the area clean. 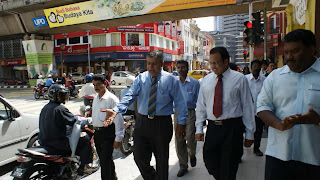 Lebuh Ampang is now an eyesore and this creates a bad image to tourists and locals as it is located in the heart of the city." 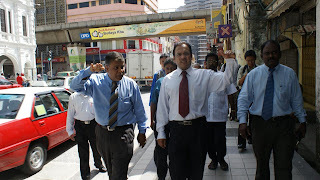 Murugiah said he would be writing to mayor Datuk Ahmad Fuad Ismail to highlight the plight of the shop owners and the deplorable conditions of Lebuh Ampang.